Super Facialist are by far my favourite affordable skincare brand, so I'm super excited to be collaborating with them on this post! 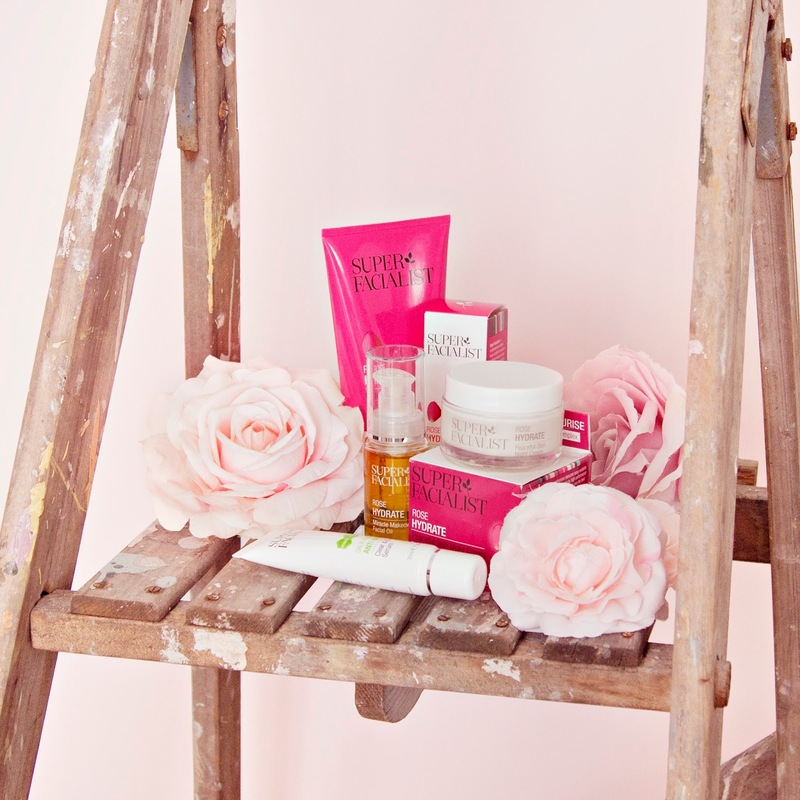 My love of the brand started years back with the Rose Hydrate range (I was obsessed with the moisture mask), I then tried a few bits from the Vitamin C+ range, which I also fell head over heels for, and most recently I've been trialling the Anti Blemish range. I'm going to show you a few of my favourite products which work wonders for my skin type, but Super Facialist have also launched this handy tool for their #beyourownsuperfacialist campaign, which allows you to build your own tailor-made skincare routine according to the needs of your skin. My main skin concerns are acne/blemishes and dryness, so I've been using a selection of products to help to combat those areas. 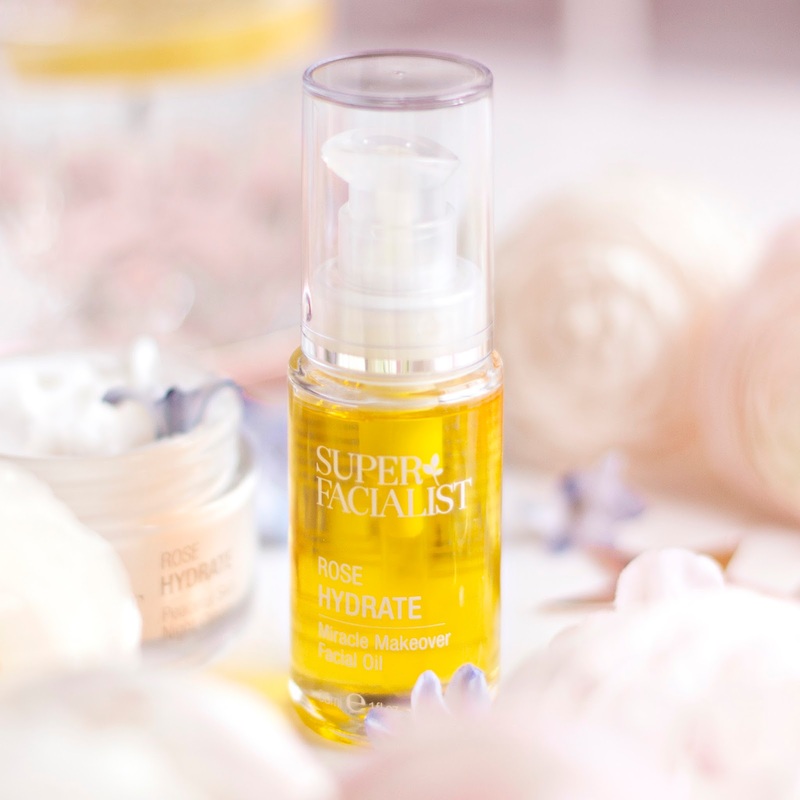 As the first step in my routine I like to use the Rose Hydrate Miracle Makeover Facial Oil to remove my makeup and to prepare my skin for the second cleanse. My favourite way to use this oil is to apply it with my fingertips, leave it for 5-10 minutes and then wipe away with a warm, damp cloth. 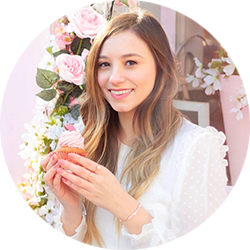 I find that this method works wonders for my dehydrated skin, as once removed my skin feels incredibly soft and hydrated, as if I have just had a real facial! 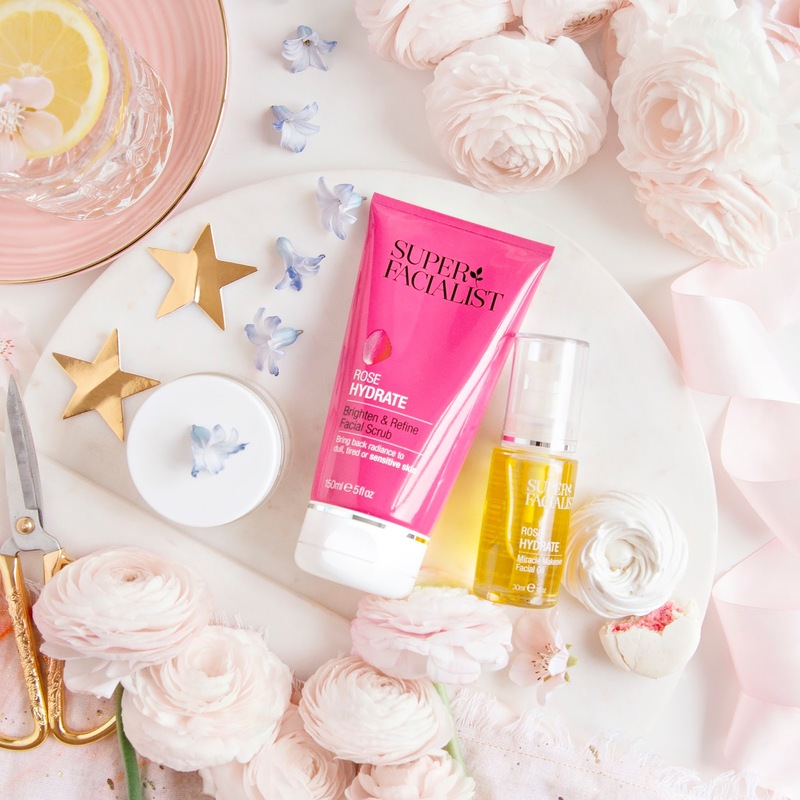 I've always been a bit wary of scrub exfoliators, but Super Facialist create the most gentle products for sensitive skin types, so I decided to give the Brighten & Refine scrub from the Rose Hydrate range a try. I apply a pea sized blob of the rich, creamy scrub to my skin in the evening, gently massaging it in. The texture of the product is grainy, which helps to manually exfoliate, the cooling menthol then soothes and calms blemishes and redness (which I tend to have a lot of), and the B5 and White Willow leave my skin looking brighter and more glowy. I find that this product is great for times when my skin is looking a little bit dull and congested, it just brings it right back to life. I suffer from acne, so for me it's crucial to include products that help to target blemishes in my skincare routine. I've been trialing the Anti Blemish Clear and Correct Serum containing Salicylic Acid for a while now, and though it's not the miracle acne cure that we all hope for (even though we know such a cure doesn't exist) it does help to shrink my existing blemishes faster, reducing redness and helping them to heal more quickly. What I like the most about this serum is that it doesn't dry out my skin at all, unlike most other blemish targeting products that I've used. 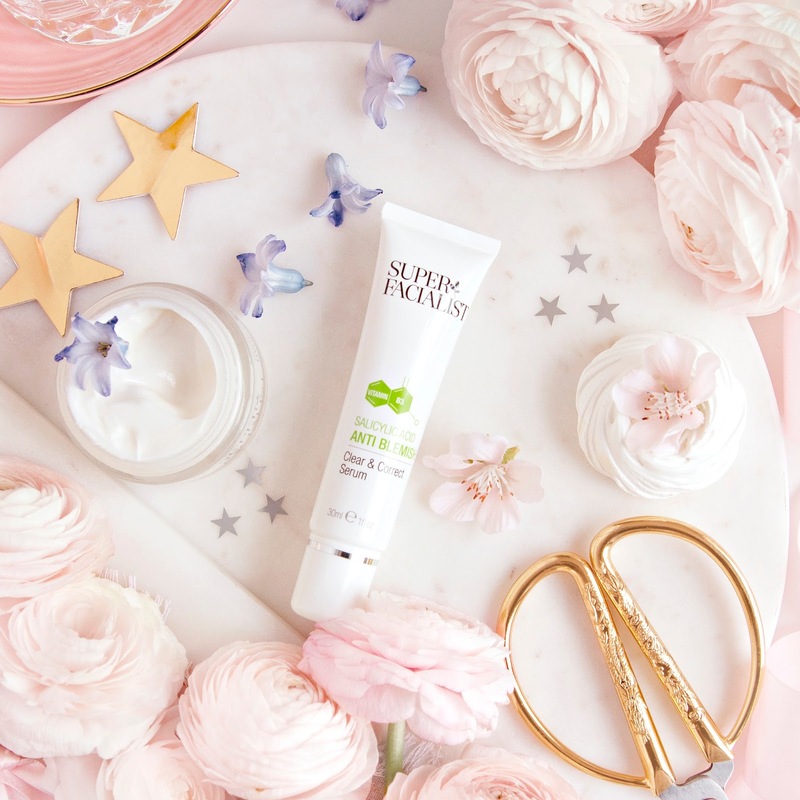 The Rose Hydrate Peaceful Skin Night Cream is probably my favourite product from the whole range, not only does it smell incredible but also it's hydrating enough for my usually flaky, dehydrated skin. I use this as the final step in my evening skincare routine, slathering on a generous amount before bed. I find that it sinks in nicely as I sleep, leaving me with soft, hydrated skin the following morning. So that's my full Super Facialist skincare routine! 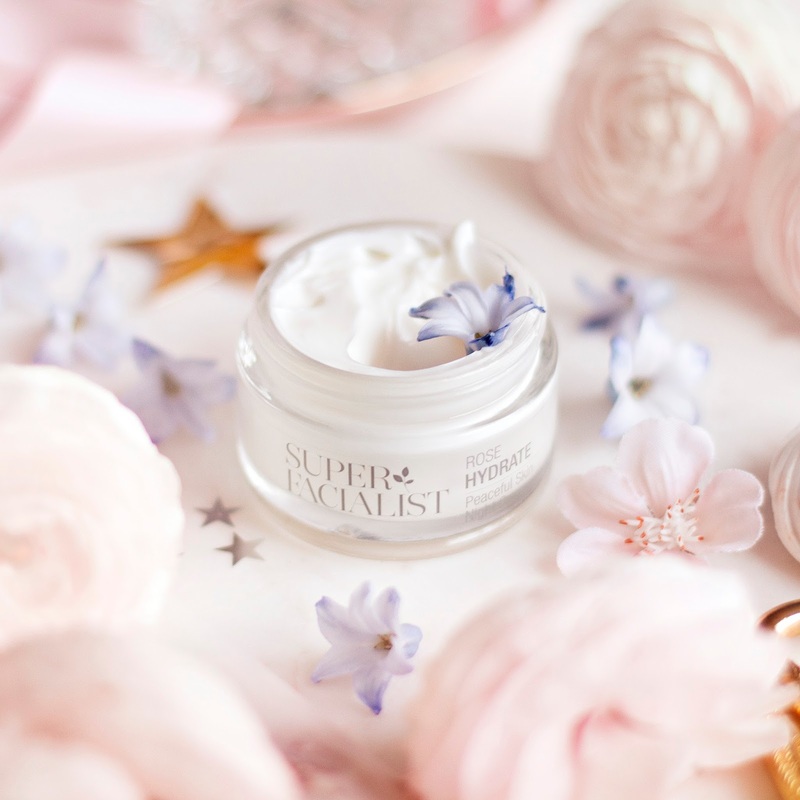 Don't forget that you can create your own routine using this tool, you can also purchase any of the products mentioned in this post from the Super Facialist website or in-store at Boots and Sainsbury's.